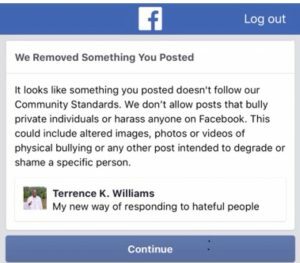 First, it was Diamond and Silk, now its Christian conservative comedian Terrence K. Williams who got temporarily suspended from Facebook. 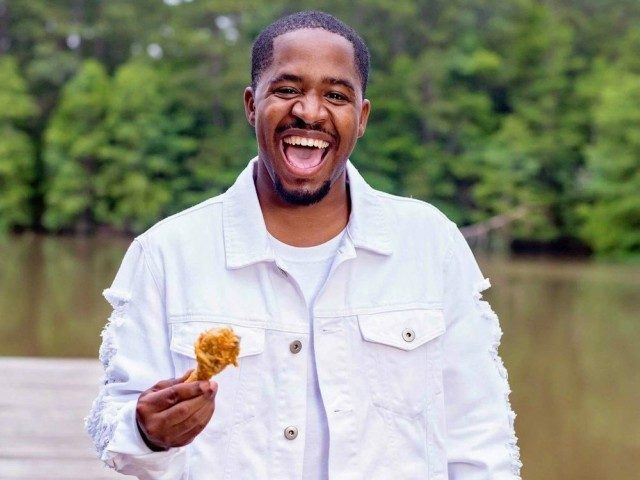 Facebook temporarily suspended comedian Terrence K. Williams for posting screenshots of bullying and ridicule he received from liberals on the social media platform. 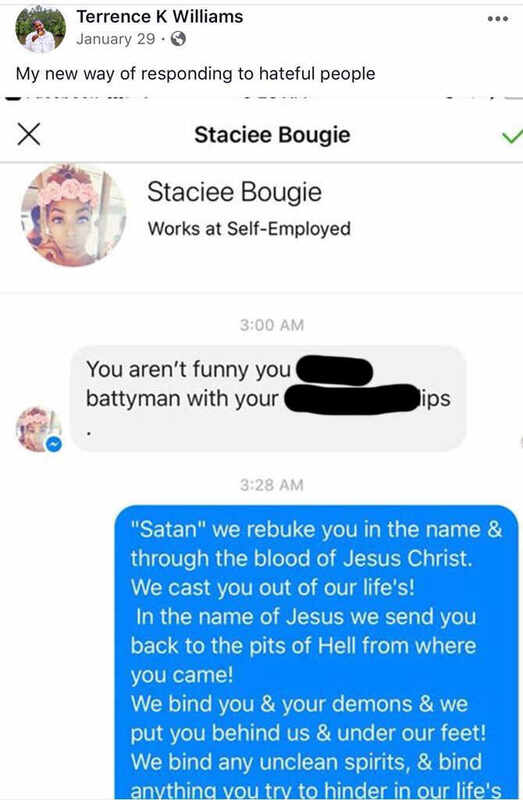 Facebook user Staciee Bougie commented, “You aren’t funny you **** battyman” followed by an expletive and personal attack. Williams prayer for deliverance attacked the powers of Satan and had nothing to do with the individual who was bullying him, yet Facebook placed a 24-hour block on his account. What do you think of Facebook’s attacks on conservatives, specifically the recent uptick in attacks on minority conservatives? Let me know in the comments below!